After 11 years, Words of Colour is on to its third re-invention, each time pivoting itself to fit the needs of the authors and the market. Here, founder Joy Francis discusses the importance of actualising diversity in publishing. In 2004, a Bookseller and Arts Council England (ACE) report, "In Full Colour: Cultural Diversity in Book Publishing Today", instigated an industry-wide conversation about a hitherto neglected issue. In response, Joy Francis hosted and chaired many events and assisted founders Elise Dillwsorth and Alison Morrison with the launch of DiPNet, the Diversity In Publishing Network. But it soon became clear that more was needed. So Francis, who has 20 years’ journalism experience and worked as a script reader for BBC radio and drama, created Words of Colour, an organisation dedicated to empowering writers and creating legacies. "In a nutshell, our initial mission was to act as a conduit and a broker between inspiring emerging writers of colour in all genres, and the relevant writing industries." Words of Colour is all about the writers as individuals, working with a huge range of authors, from scriptwriters to poets, from successful authors looking to speed up the publication process, to those starting out on blogs and looking for exposure. "For us, particularly understanding culturally what the experiences are for writers of colour - and by that I mean visible minorities - was that they were never one thing," Francis says. "We had to develop an agency and services that reflected that diversity within the diversity." 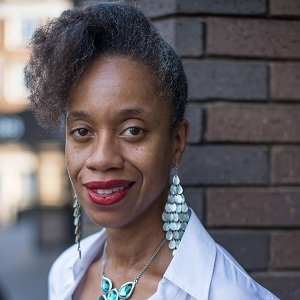 Under her leadership, the organisation has had a great deal of success, working early on with writers such as Patrice Lawrence, author of Orangeboy, which was shortlisted for the 2016 Costa Book Award. At first a community initiative funded by Awards for All, Words of Colour is now a social enterprise, and has expanded exponentially, working with organisations including the Big Five publishers, the Arvon Foundation and the Royal Court Theatre. Next month, the organisation will unveil its latest iteration, which retains writers at its heart, but has broadened to accommodate entrepreneurship in literature and wellbeing. "It's tough. A lot of writers are exposing their heart and soul, often without guidance and direction, getting rejection and not actualising their potential, or are getting books published with no direction after that. Our interpretation of 'wellness' is about you actually knowing what your value and genre is, so that you own it before you give it away. It's an imbalanced situation, and there needs to be an elevation in terms of how people value the cultural currency of their work." There is a problem in general with the way the industry approaches writers, Francis says. Words of Colour is starting with inclusion, but its values should be part of the writing canon. In a similar way, books by diverse authors are not just read by readers of colour: they are enjoyed by all book-lovers. It is about the universality of a story, regardless of where it has come from or who has written it. To Francis, helping writers to understand their own value and develop their talents is critical, but the most important part of what she does is getting an author published. This includes helping a writer understand that there is more than one path to publication, and that "no" does not automatically mean the end of your career. Words of Colour ran a "Get Started" programme for seven years, encouraging writers to move from procrastination to action. It focused on setting up a workable platform for the author - blogs, websites, social media - but always with the aim of knowing their target audience and recognising the right people in the industry for their own genres. "The word that was used then - I've never liked it really - was the 'professionalisation' of the industry," Francis says. The initiative countered the idea that self-publishing, which during that time was still new, was somehow unprofessional. Even nowadays, that is a label self-published authors can struggle against, but in general the professionalisation of self-publishing has taken place. Recent statistics show that that many of the most popular books by writers of colour are self-published. "When you say there's a trend, there's also this presumption that the publishing industry is aware of it and is part of it," Francis says carefully. "But often it's not. What you have here is a landscape that is changing rapidly outside the publishing industry, but because publishers are risk-averse, and they're fighting battles on different fronts that they have been unsettled by, they have taken their eyes off the ball." Independent companies such as Unbound, Completely Novel, OWN IT! and Pigeonhole are leading the way. "You've got these really passionate, often female, digital publishing entrepreneurs who are invaluable and acting as a real conduit between writers and readers," says Francis. "All the wonderful mavericks leading these businesses had careers in publishing and left. Why did they feel they couldn't do these things within publishing? Traditional publishers are so focused on the demands of being conglomerate, of merging, of the economy and the bottom line, that they are not embracing change. It appears they see it as a challenge and a threat. It doesn't seem to be galvanising them in a positive way to develop new avenues for writers to engage with them." The industry is changing and people are starting to realise it, says Francis. "Writers are not just dreaming of getting published, they're dreaming of waking up in the morning and having a readership. They do not need publishers for that anymore." 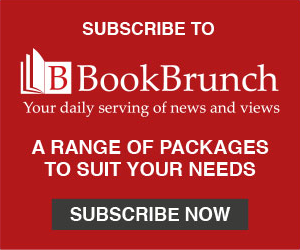 For all this, there are positive changes afoot: HarperCollins, Francis says, has instigated some critical shifts towards BAME employment over the last few years, while publishers such Jacaranda Books lead the way in publishing diverse books. The success stories emerging from smaller, diversity-focused publishers are evidence of a growing, more active market. Five years ago, Francis says, there was an apathy among writers of colour. Now everyone is talking and everyone is full of action. "There are a lot of people who want this. It's about diversity of writing, but it's about inclusion too. There are a lot of people who are invested in that, and it's not just writers of colour." Events such as Brexit and the election of Trump have brought to the surface issues around diversity that have existed for years, Francis reflects, but she prefers it this way: "No one can make any excuses now, so we can get on with this work. It's all laid bare in its ugly truth: it's there." You can be uninformed, informed or over-informed, Francis continues, and there are problems with inflexibility at either end of that scale. It is possible, she says, to be nice and uninformed - and in society at large that can be an issue - but in the publishing industry we are rarely uninformed, which leaves us dangerously close to wilfully excluding people. "As soon as the question of diversity comes up, what comes out of the starting gates? Quality!" she says. "I don't like this implicit, tacit view that the first thing you've got to be worried about is quality control. Publishers have a resistance to this idea that we're making diversity happen to them. The subtext is: 'I'm having to deal with diversity, which means I'm going to have to possibly deal with lower quality and have to think about things in a way that takes me away from my usual criteria of selection.' That's not true. The dialogue should be: 'We're having to deal with diversity and inclusion because we have not done our job and have numerous blind spots, so this is an opportunity for us to be the fully-fledged inclusive publisher that we thought we were but we’re not.' The quality control needs to be internalised, not externalised." The issues for writers of colour include "agents pandering to what they think publishers want", and writers of colour being funnelled into certain genres, often ones that are not traditionally the most respected. "We're here because there's a need. You have to adapt, and it's not about adapting to internal demands, or commercial demands, you have to adapt to what the readers and writers are telling you." Right now, Francis says, traditional publishing is like a closed shop. "When you think about books, you think libraries and bookshops - places you can walk into. Why is it that publishing is like a fortress? There is a remoteness to publishers that they can't sustain or justify any more. Let's make this more fun: inclusion is exciting! It underpins what we do and it's life-affirming."